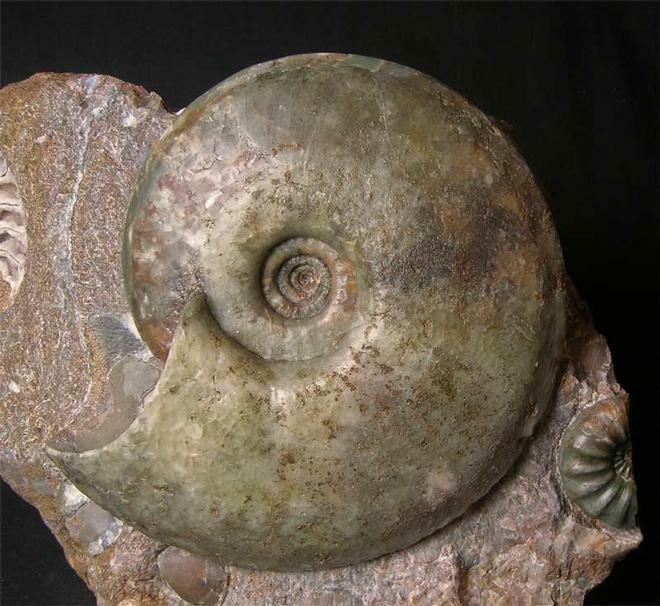 It is extremely rare thesedays to see a Scunthorpe ammonite with all its original Chamosite shell still intact. Here we have just that fossil! 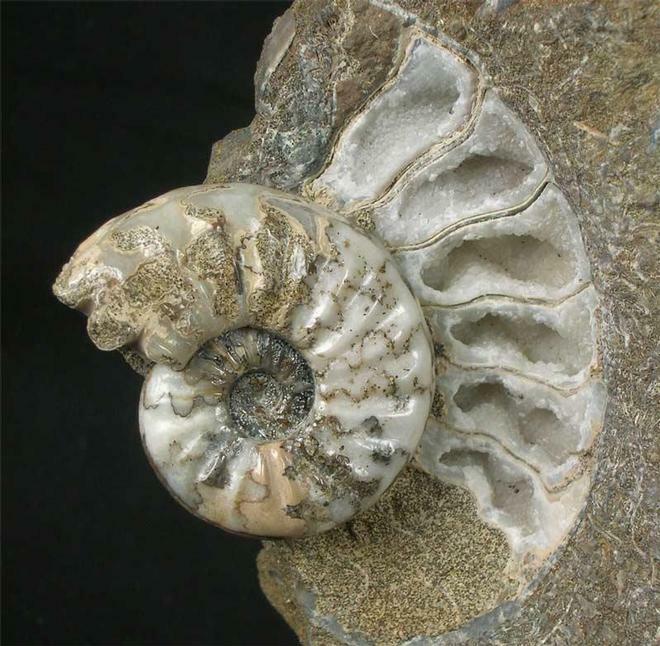 The main ammonite lies next to the centre of a small Asteroceras Stellare which has been preserved in white calcite and has been polished to achieve maximum aesthetics. 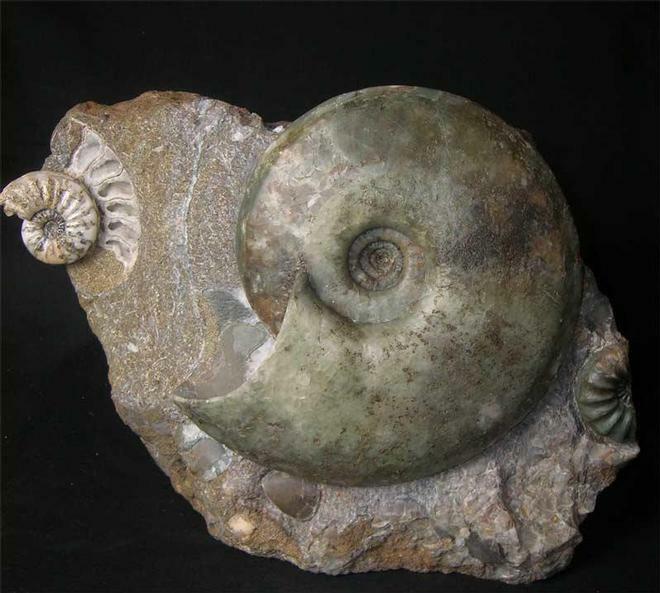 All the Scunthorpe quarry's have long since been closed and back filled so these beautifully preserved ammonites are becoming increasingly difficult to obtain. The matrix has a cut base for upright display purposes. Approximately 200 million years old. 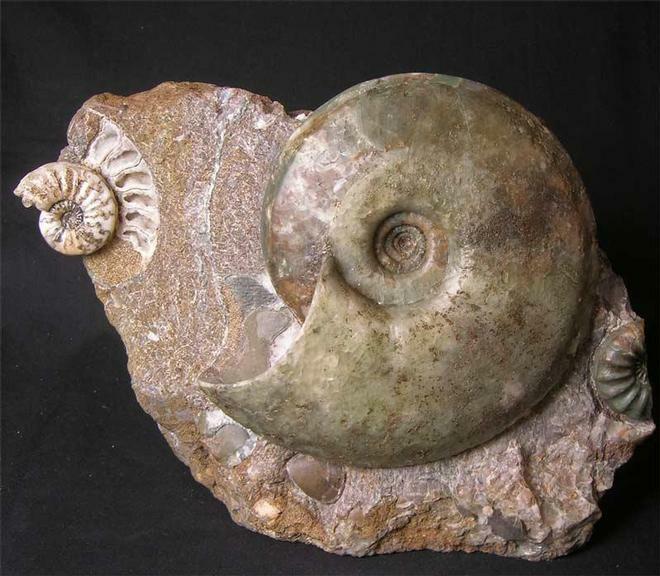 A wonderful and unique decorative display fossil for either a collector or interior designer.